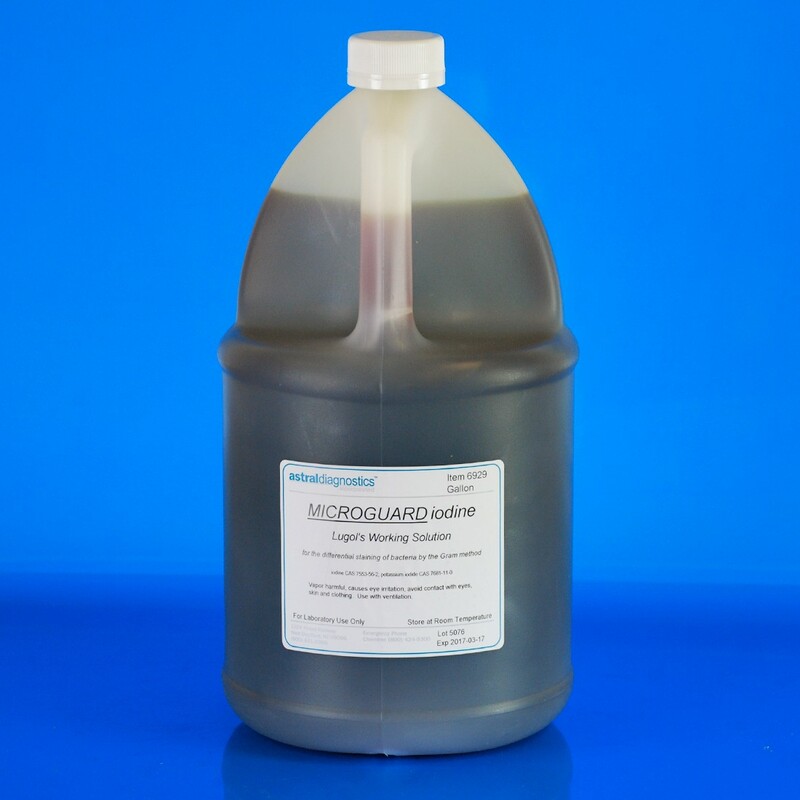 MicroGuard Iodine, Lugol's | Polysciences Inc.
Iodine is the mordant in Gram's Staining method. Applied after the crystal violet to chemically bond the dye to the bacterial cell walls. The solution is stabilized with polyvinylpyrrolidone allowing a constant level of unoxidized iodine. Working solution iodine is pre-mixed and ready-to-use. No further dilution is necessary. FDA approved for in vitro diagnostic use.